ACT Government sports grounds will reopen on Monday, 1 April 2019. File Photo. All ACT Government irrigated sports grounds will be closed from this coming Monday (18 March) for two weeks to undergo necessary renovations, repairs and maintenance. During the shutdown period, all ACT Government irrigated natural turf sports grounds will be closed and unavailable for formal hire, allowing biannual maintenance to be carried out. The program includes applying fertiliser to assist turf growth and to re-establish turf density prior to winter competitions commencing. Other restoration activities include aeration, top dressing of worn and uneven areas and oversowing of bare or sparse areas to achieve an even turf cover. During the maintenance period, goal posts will be installed and groundskeepers will focus on getting the turf in the best possible shape for winter competition. The ACT Government manages approximately 280 hectares of irrigated sports grounds across 126 separate sites in the ACT and each of these grounds hosts regular training and competitions year round. “The annual autumn sports ground renovation program is focused on repairing surfaces damaged through the summer sport season and giving grounds a much-needed break prior to the start of winter sport. 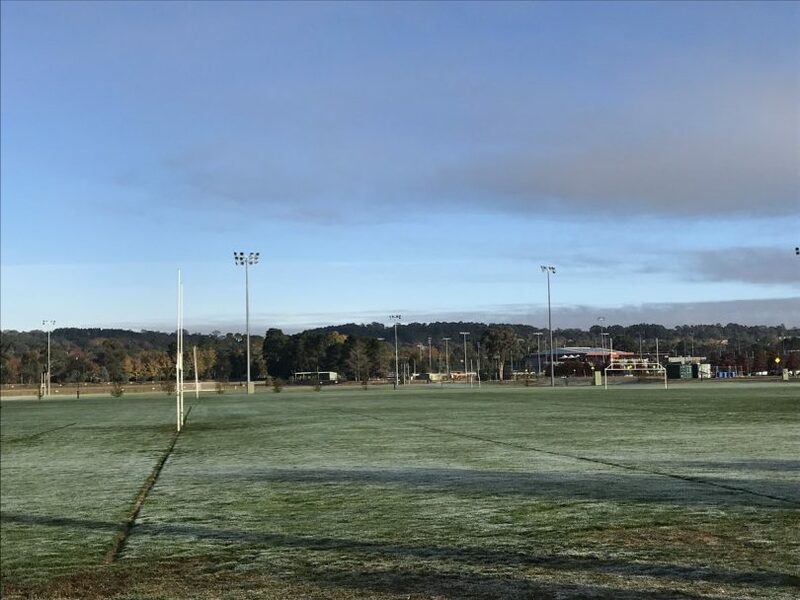 ACT schools have been notified of the shutdown period and are asked where possible to limit the use of ACT Government sports grounds during this time. Sportsgrounds will reopen on Monday, 1 April 2019. This sounds reasonable on first glance, but as any sports club will tell you, it's an unnecessary exercise that causes maximum chaos and limited benefit. Reasons? Many, like many 'winter' sports grounds aren't used for 'summer' sports and vice versa, so surely they can do the maintenance in the off-season right? No they wait until the season is about to start. The idea that each season starts and finishes in April and September is a myth. Football has already started and the shutdown in September always clashes with finals. The goal posts are all put up during the week when no one would be using the fields anyway, so no need to close for that. But the big kicker is the so called maintenance. Many sports clubs will have experienced the dumping of dirt on their fields a week before the season starts, pushed around a bit with a bobcat and left to kill the grass underneath. There are way smarter ways to manage the grounds that clubs need to deliver sport to people, and that is why the bi-annual shutdown is the ongoing thorn in the side of sports clubs. It’s about the weather season, not the sporting season. If you have no idea on turf grass maintenance don’t comment. Sharon Cameron Hardy The article literally has a Govt facility manager saying it's about the sport season. I hope he's an expert. Problem is NPLY is 3 rounds in. Erin Ward Will Powell.. no oval for 2 weeks. Of course someone (Capital Football?) forgot to tell the ACT Government that youth NPL football started three weeks ago. An annual annoyance. Brendan Carswell does this mean senior site ovals are out. Brendan Carswell David has been taking classes up there last week and they were loving it.